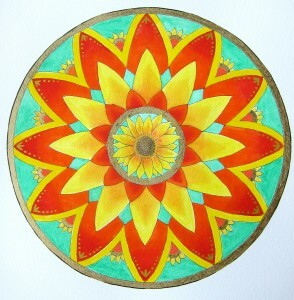 Just finished this watercolour mandala last night. I’m not experienced with watercolours at all but I’m starting to like them a lot. I started this one using watercolour pencils but the bright red/orange is actually paint which I found to be much brighter than the pencils. 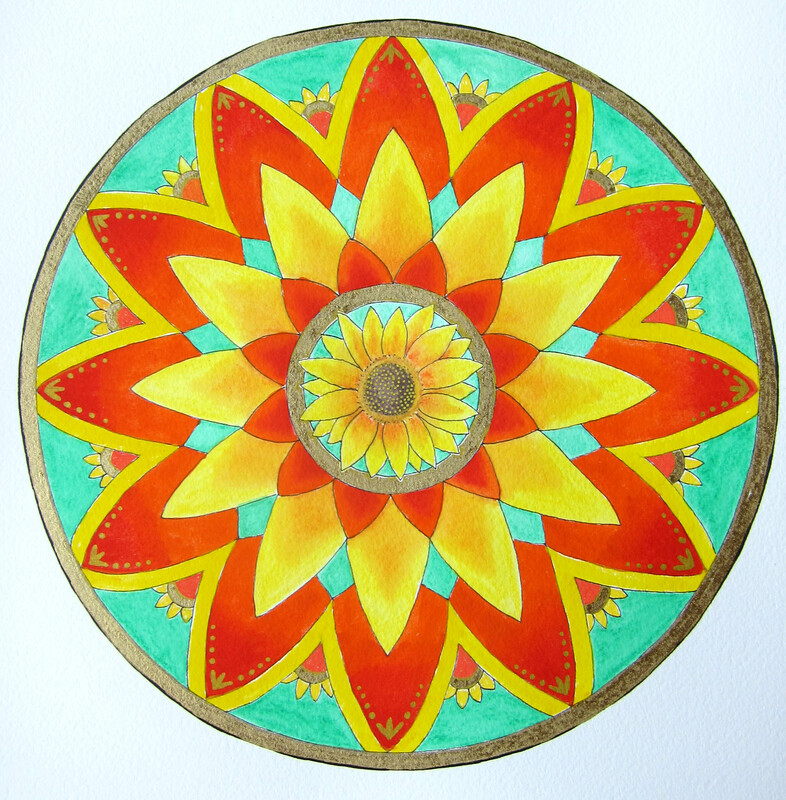 I am doing a 4 week Mandala course at the moment with Rosalind Gittings and for this exercise we thought of a positive feeling like Peace, Love, Joy etc and visualised a symbol for it to use in our mandala. So my symbol was a sunflower and the emotion was JOY. I might go ahead and make some other mandalas for Love and Peace at some point.